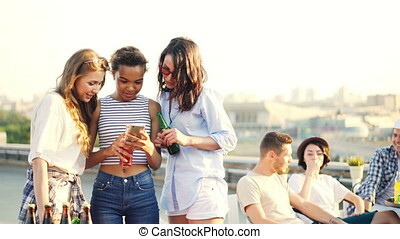 Cheerul brunette pretty young girl is using smart phone touching screen standing on rooftop with beer bottle in her hand while her friends are partying in background. 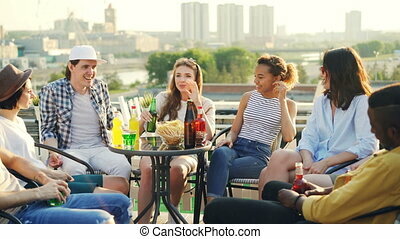 Pretty young girl is telling story to her happy friends multiethnic group sitting at table on rooftop with food and drinks, beautiful view of city is in background. 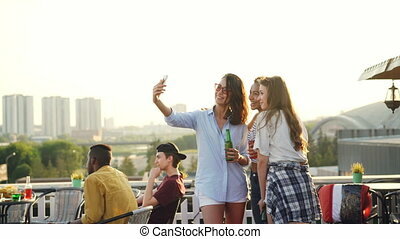 Pretty young ladies are taking selfie with bottles using smartphone during open-air party on roof while their friends are chatting in background. Modern technology and fun concept. 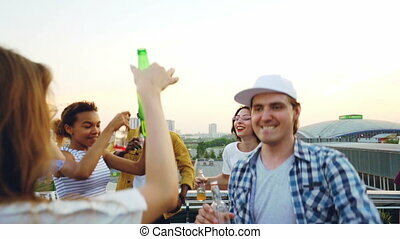 Pretty young woman is using smartphone, holding beer bottle and smiling during rooftop party with big city in background. Modern lifestyle and technology concept. Happy young women friends are chatting, clinking bottles and drinking standing on rooftop with their friends having fun in background. Millennials, joy and summer concept. 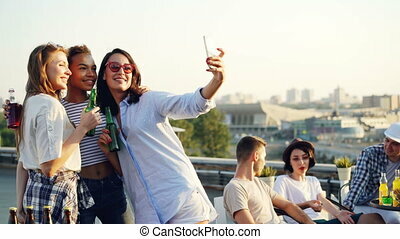 Cheerful female friends are taking selfie with smartphone and laughing standing on rooftop with drinks in bottles enjoying party. Technology, beverage, city and youth concept. 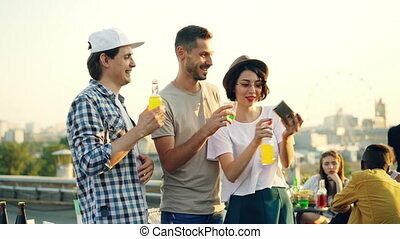 Pretty young woman is using smartphone to take selfie with her cheerful male friends, happy young people are posing then laughing and watching funny photos. Pretty young ladies friends are using smartphone looking at screen and talking standing on roof with bottles enjoying party. Modern technology, leisure and fun concept. 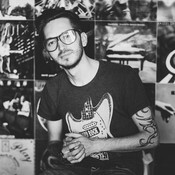 Slow motion of careless young people relaxing on rooftop with drinks dancing and clinking bottles celebrating holiday. Beautiful rooftop view of metropolis is in background.